One day, brands might pay Facebook to become downloadable sticker packs. Facebook just launched its first branded sticker pack for messaging — a collection based on the new Universal film Despicable Me 2. While the studio didn’t have to pay to have them appear in the sticker store, and they’re free for users, Facebook might eventually be able to charge brands for the viral exposure. I’m fascinated by stickers right now. A lot of people think they’re dumb, no different than emoji, and won’t have an impact on the messaging landscape. I disagree. The whole point of messaging is to accurately communicate, but text without body language or vocal tone strips out emotion that stickers can provide. I see them as a resurgence of pictographic communication, a way for functionally similar messaging apps to differentiate themselves, and a possible revenue generator. Many startups, from Line to Path, make money by selling stickers. Line actually earned $17.6 million in revenue from selling stickers to users in Q1 2013 alone. Facebook has instead made all 15 or so downloadable sticker packs freely available from a store inside the smiley button in Facebook and Messenger for iOS and Android. Just yesterday it turned Mark Zuckerberg’s dog Beast into a sticker pack. While Facebook’s user base is about seven times the size of Line’s, selling sponsorship opportunities would likely be less lucrative than sales to users, but still a nice addition to the social network’s bottom line. People are looking for unique and efficient ways to express emotions without typing, and stickers are a fun way to do that. Facebook’s strategy of giving them away could keep people on its messaging system rather than switching to Google Hangouts or new independent messaging apps, or falling back on SMS or iMessage. The advantages of keeping people loyal to its messaging system likely outweigh the revenue Facebook could earn by nickel-and-diming users with $1 sticker fees. But sponsorships could turn Facebook’s vast messaging traffic into dollars. Since stickers are inherently viral, intimately sent from person to person, brands could be willing to pay a lump sum or per-use fee to get exposure for their imagery. That won’t work with all brands. Most people probably don’t want to send a Honda Accord sticker. But anything with cute characters associated with it could become a nice branded sticker pack. 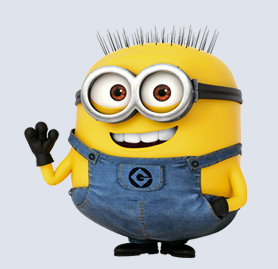 Despicable Me, known for its funny yellow minions, works well. Everyone’s wondering why the tech giants and startups are fixated on messaging. The answer could be a (a little yellow monster) staring back us.